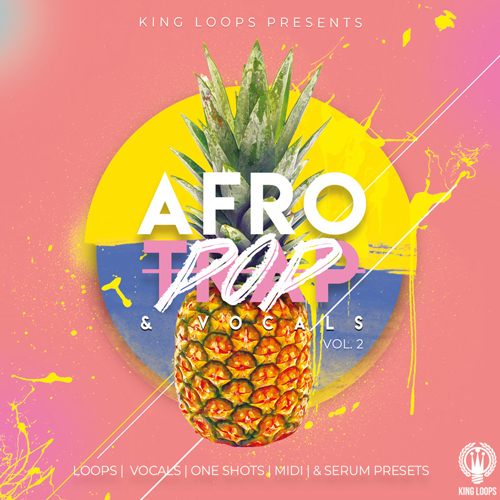 ‘Afro Trap & Vocals Vol 2’ by King Loops kicks off a smash hit series, bringing you nothing but the best of Afro Trap, Tropical House, Pop, Hip Hop and RnB loops, sound presets, MIDI files and even one-shots. Coming with five key labelled radio anthems, inspired by artists such as Camila Cabello, Bebe Rexha, Major Lazer, Swae Lee and many more, you will create the next summer hits in no time. Ethnic custom percussions, radio-ready vocals and melody patterns, pumping kicks, crisp snares and claps, ground-shaking 808s synth and sub basses, tailor made FX sounds, custom processed plucks and synths sounds, as well as a variety of vocal shouts are just a few features of this impressive sample pack. If you’re still looking for some inspiration for your next summer anthem, you just found your go-to libary.